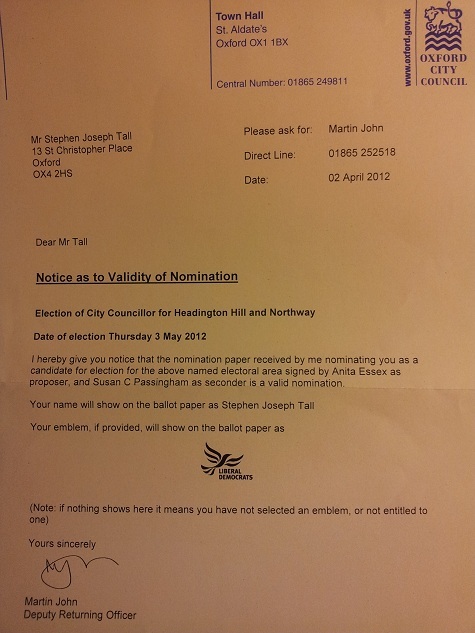 It’s official: I will be the Lib Dem candidate in the 3rd May Oxford City Council elections, standing in Headington Hill & Northway ward. The last time I stood for election — in neighbouring Headington ward — was 2004. Here’s my election special Focus leaflet… complete with all your Lib Dem faves: a bar-chart with squeeze message, ‘Working hard all year-round’ slogan, petition slip, and pot-hole action. I guess it worked (I won 61% of the vote and, ahem, the biggest majority in the city that year). 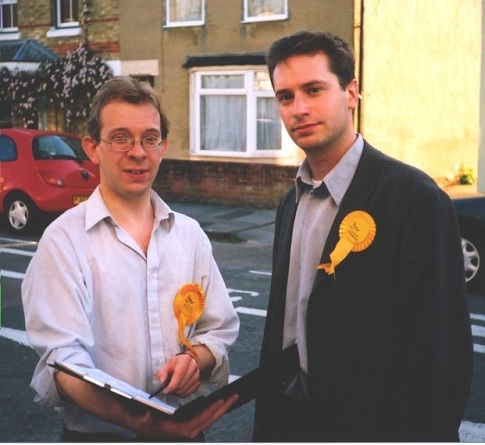 It was a distinctly happier occasion than the council elections two years previously when I narrowly avoided becoming a poster boy for Lib Dem misery.